One of the most comfortable rashguards on the market, the Kassen rashguard provides unrestricted movement while grappling. The breathable anti-microbial technology prevents odor buildup and helps stop bacteria. Built from a middleweight polyester/spandex blend, you'll be cool while training and warm while resting. Sublimated logos are infused into the fabric and will not crack, peel, fade, etc. 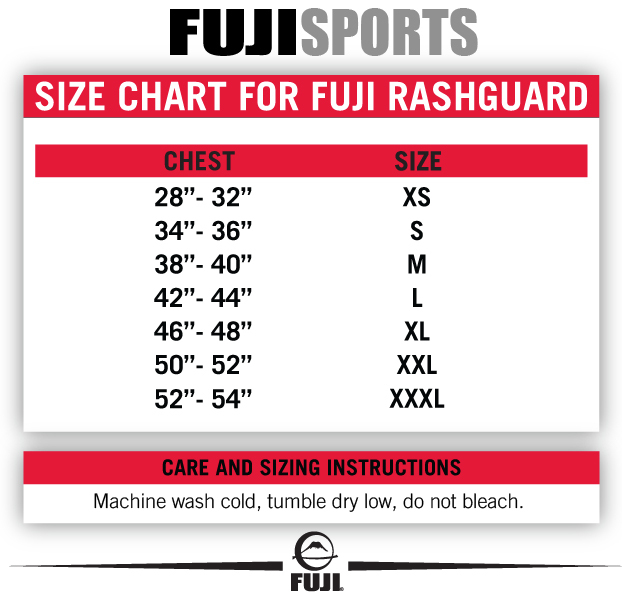 Fuji Rashguard sizing is based on chest size in inches. 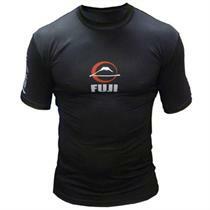 Email your friend about the Fuji Kassen Short Sleeve Rashguard. Ask a question about the Fuji Kassen Short Sleeve Rashguard.